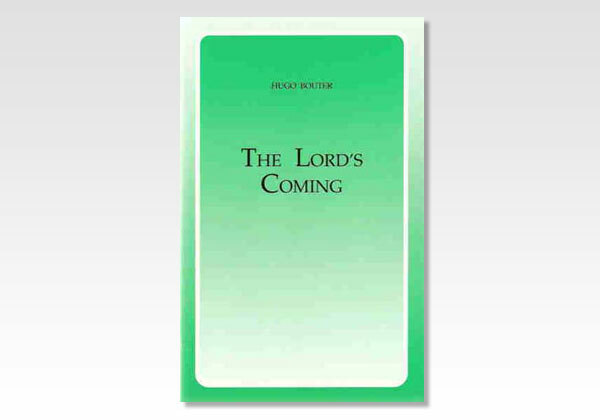 In this pamphlet the author defends the truth of the imminent return of Christ for His Church against the ideas of so-called 'post-millennialists'. How can we assent to the call of the Spirit and the bride: "Come, Lord Jesus" (Rev. 22:17,20), if His coming cannot be expected for a thousand years (as some are saying)? But our Lord is near, the day is at hand. Christ is coming as the Bright and Morning Star for His Church, His bride, to receive her to Himself, to introduce her into His Father's house with its many mansions. He does not come as a Judge for His bride, but as the Saviour of His own. This doctrine is typical of the whole New Testament.